Balance your mind, body and spirit. Help maintain your youth while developing strength, flexibility, and endurance. 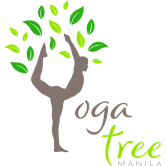 Welcome to Yoga Tree Manila Eastwood City’s Original HOT YOGA studio specializing in the Bikram method. Committed to improving your life and over all well-being through the therapeutic and healing practice of 26 postures and 2 breathing exercises inside a heated room. For 40 years Bikram’s Original HOT Yoga has been healing minds and bodies, and lifting spirits. All classes are suitable for students of all levels, including first-timers. Regardless of age, fitness level or condition, our yoga classes are therapeutic and may help with chronic conditions. They balance the mind, body and spirit. Help maintain your youth while developing strength, flexibility, and endurance.